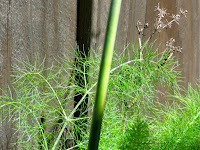 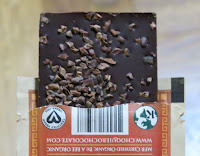 Welcome to Day #18 of Chocolate and Spices Theme Week, and Day #1 of Chocolate, Plants and Herbs Theme Week. 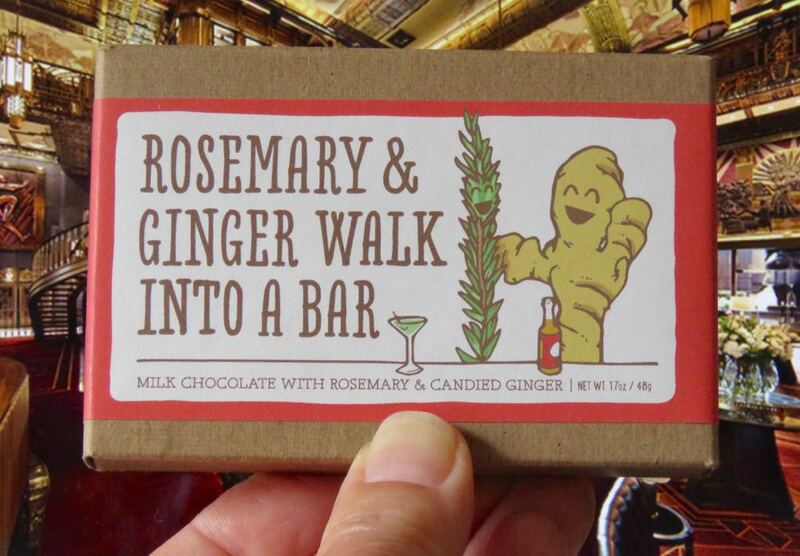 Today's Rosemary and Ginger Walk into a Bar (bar) was from Only Child Chocolate Co. (Portland, OR). Company founder, Yana, grew up as an only child in Moscow. 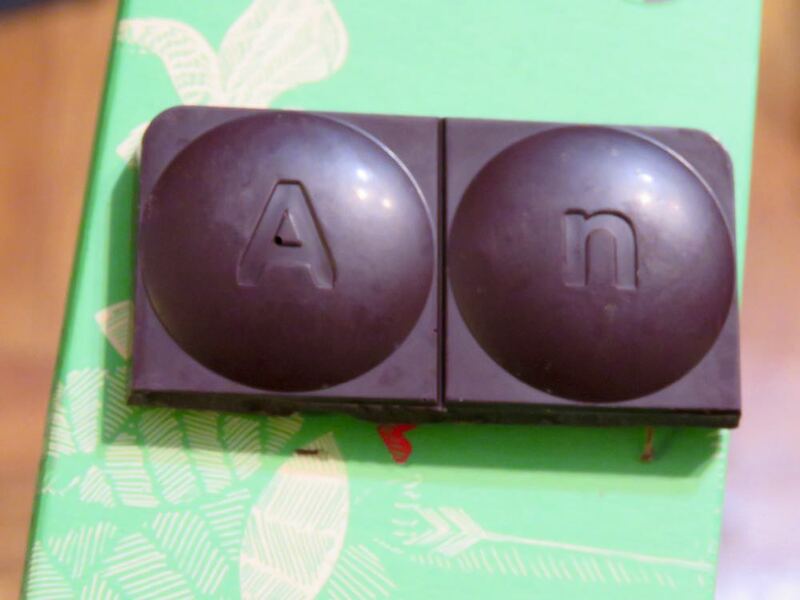 And, via Chicago, eventually made her way to Portland. 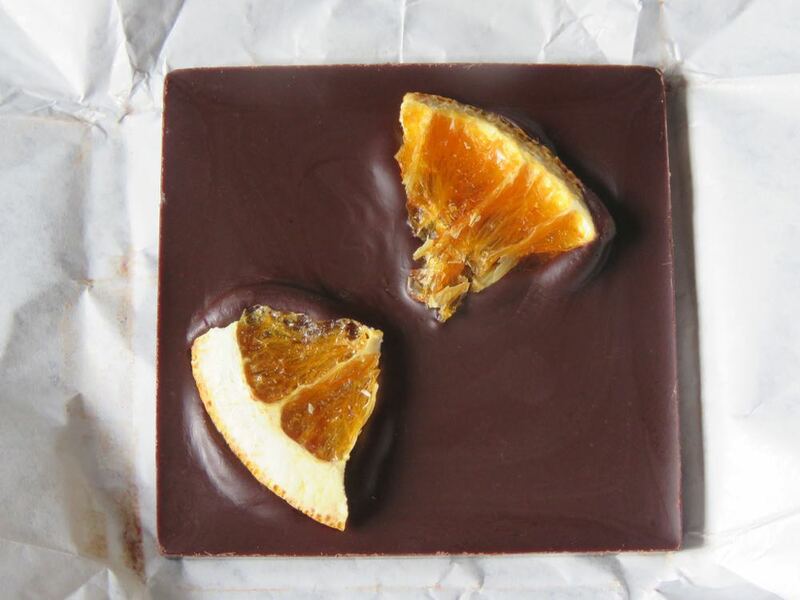 After pastry-making and bakery experience, she started her own chocolate company. 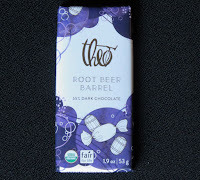 The title of today's bar was a clever pun. 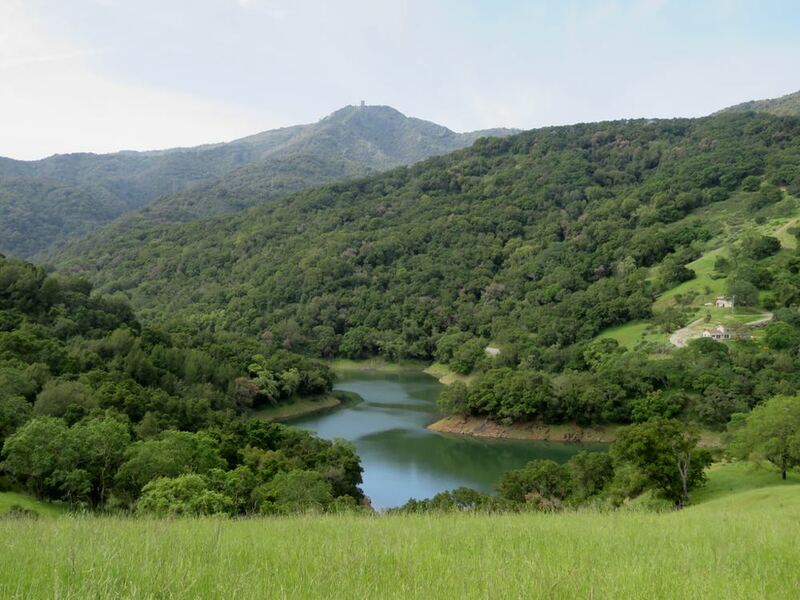 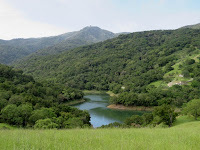 (It's tax day in the U.S., and a bit of humor and a spring hike in the green hills brightened this day.) 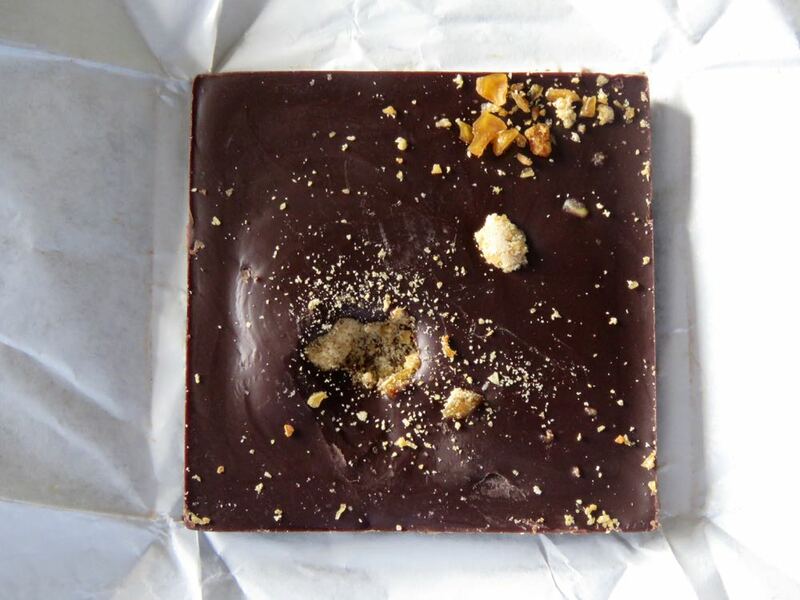 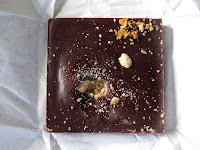 And how did this milk chocolate bar with rosemary and candied ginger taste? 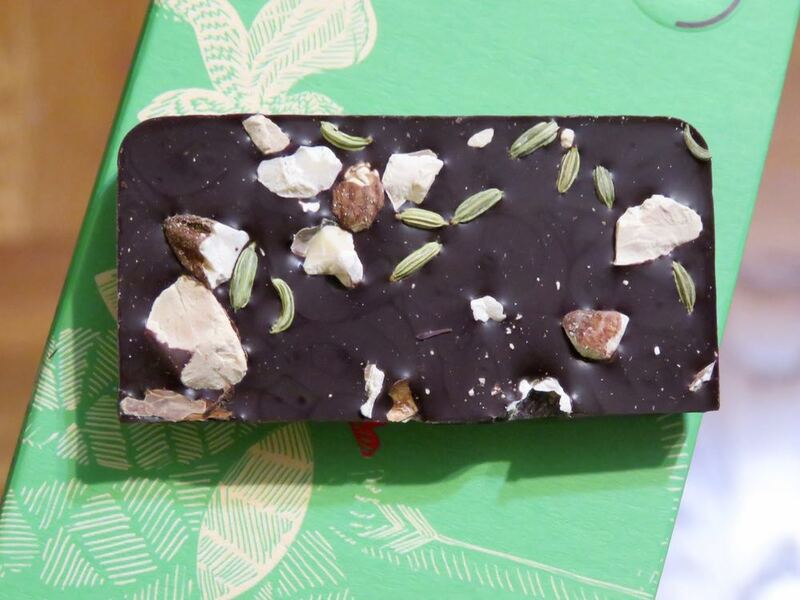 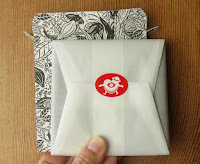 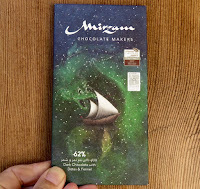 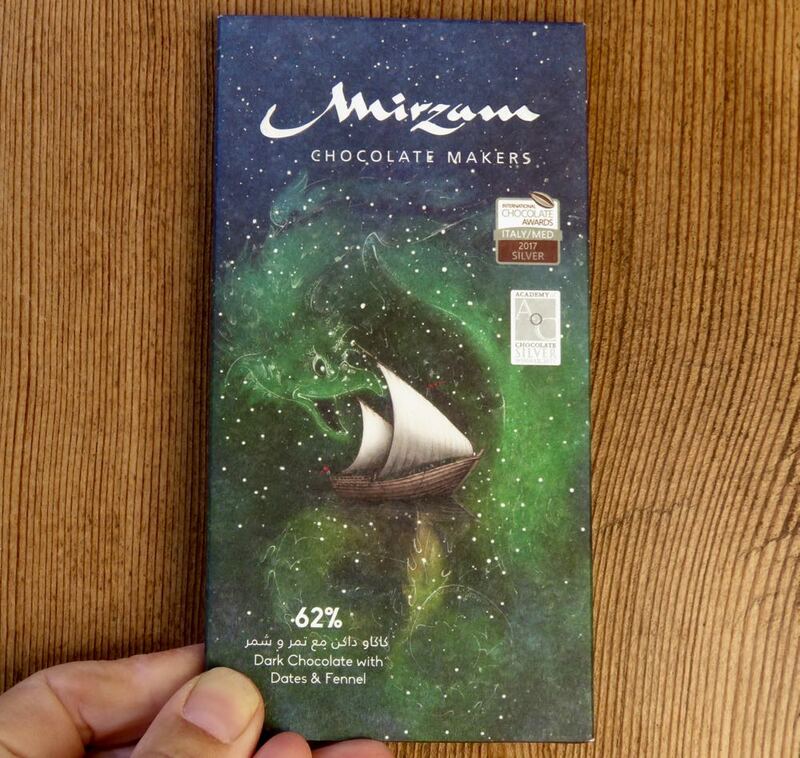 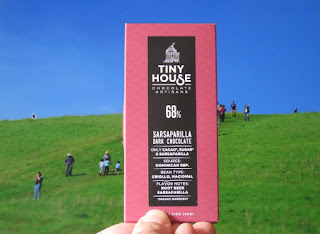 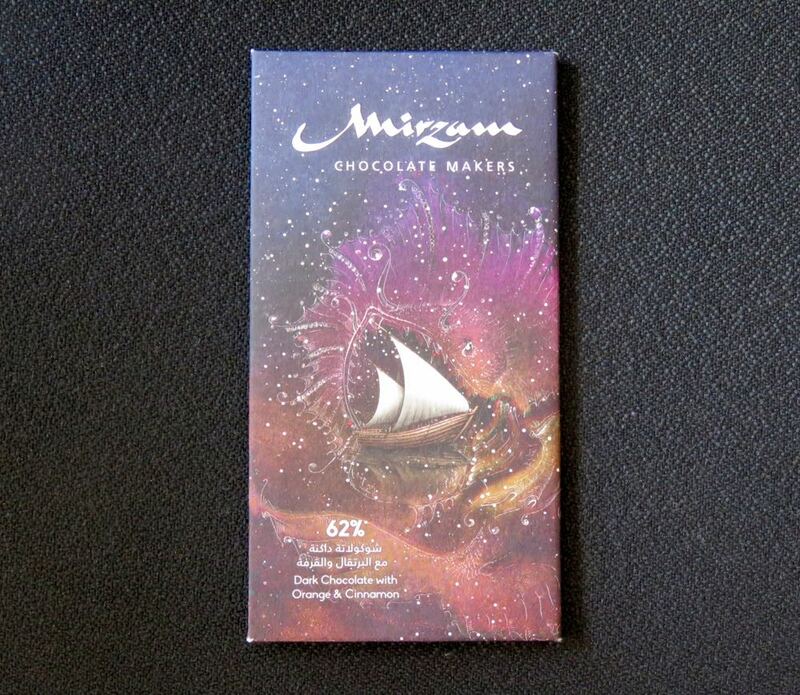 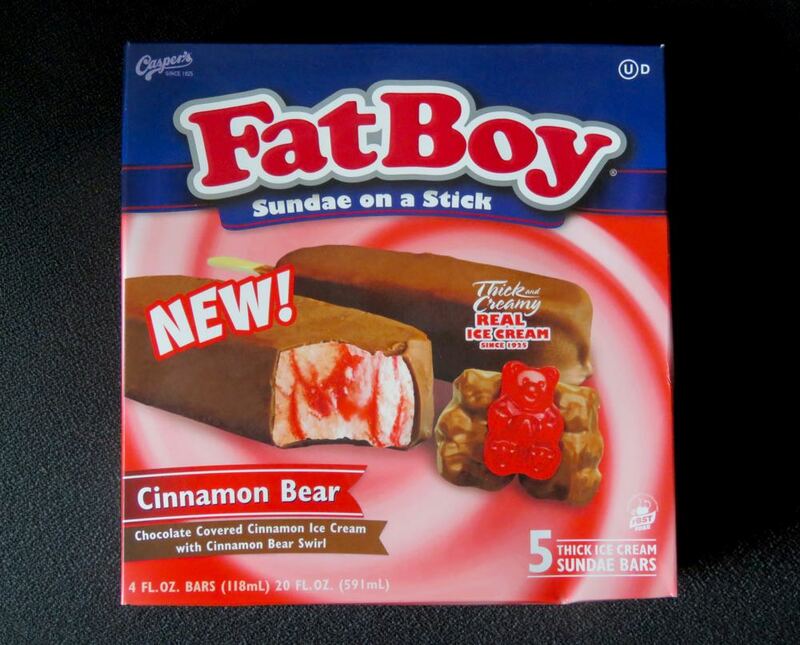 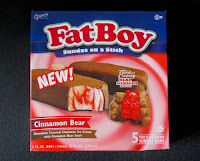 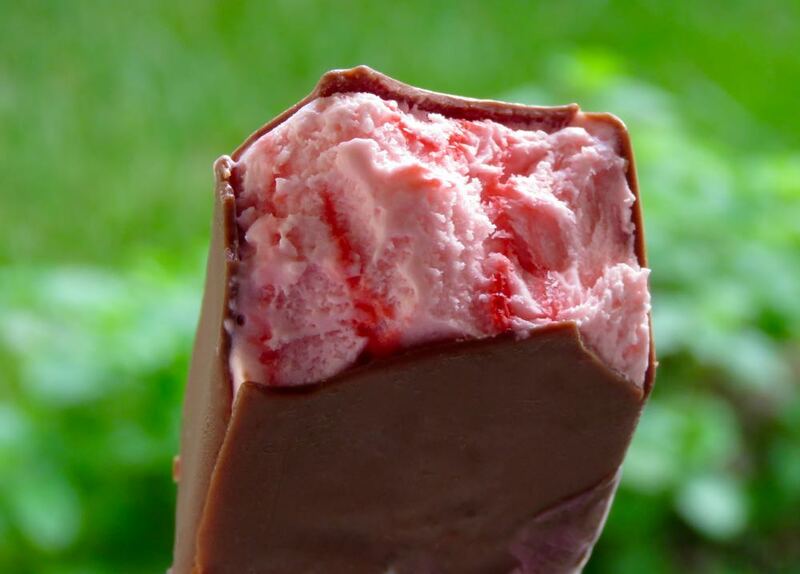 This thick, sweet milk chocolate bar had a minty, spicy aroma, and smooth, creamy melt. 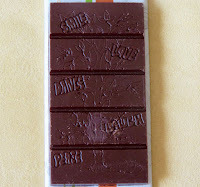 The two inclusions played nicely together. 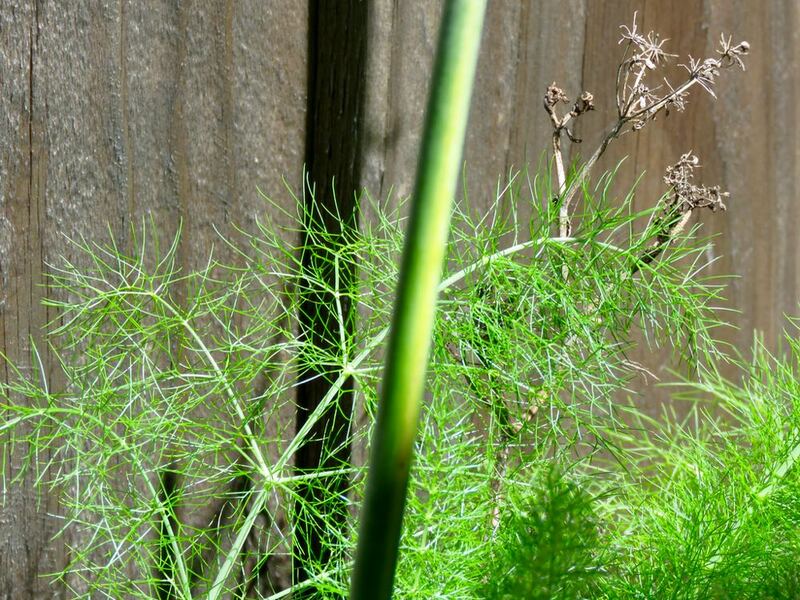 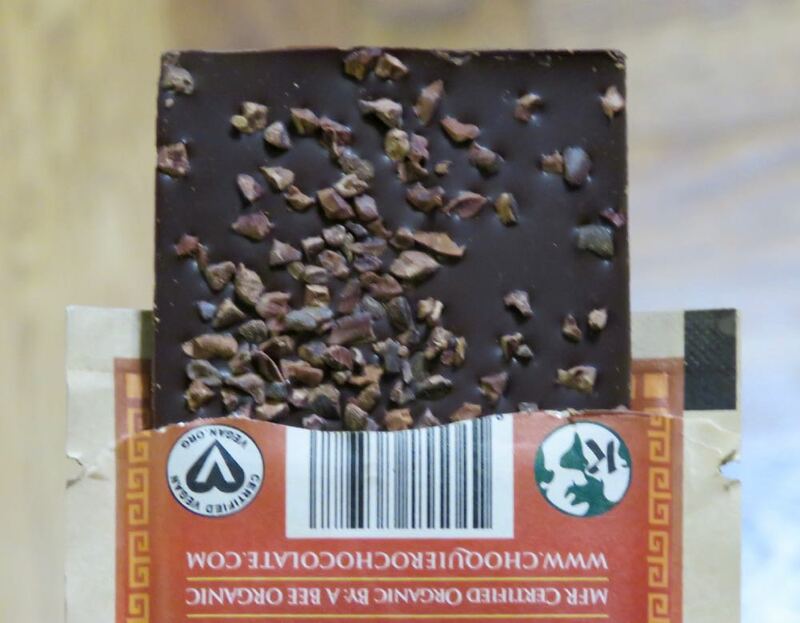 The balanced, subtle and natural rosemary flavor was fun. 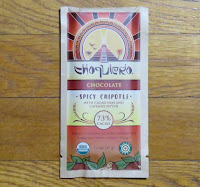 And the ginger added warmth and a light spiciness without being overwhelming. 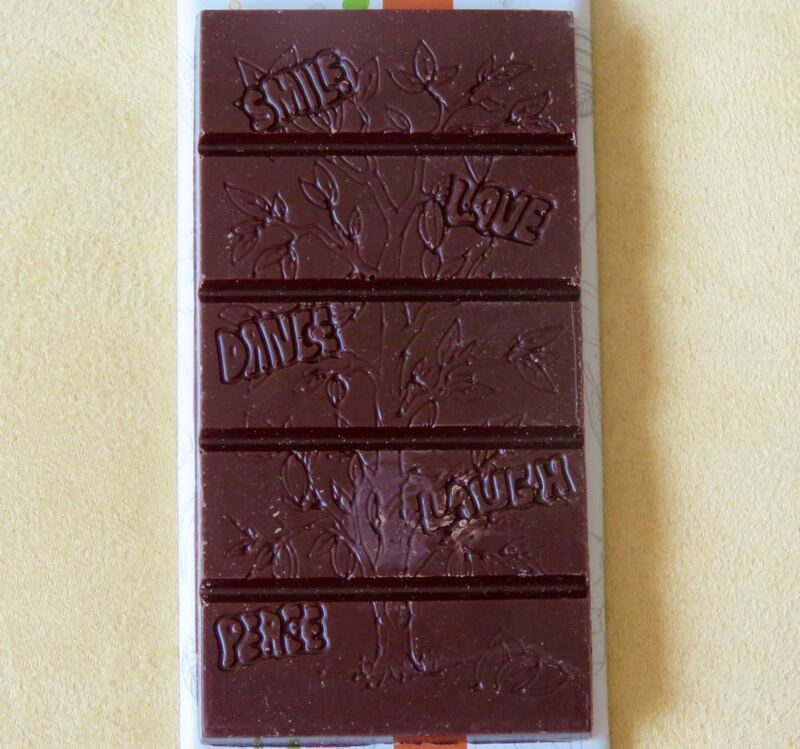 Welcome to Day #15 of Chocolate and Spice Theme Week. 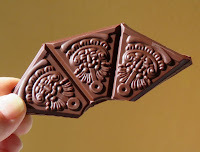 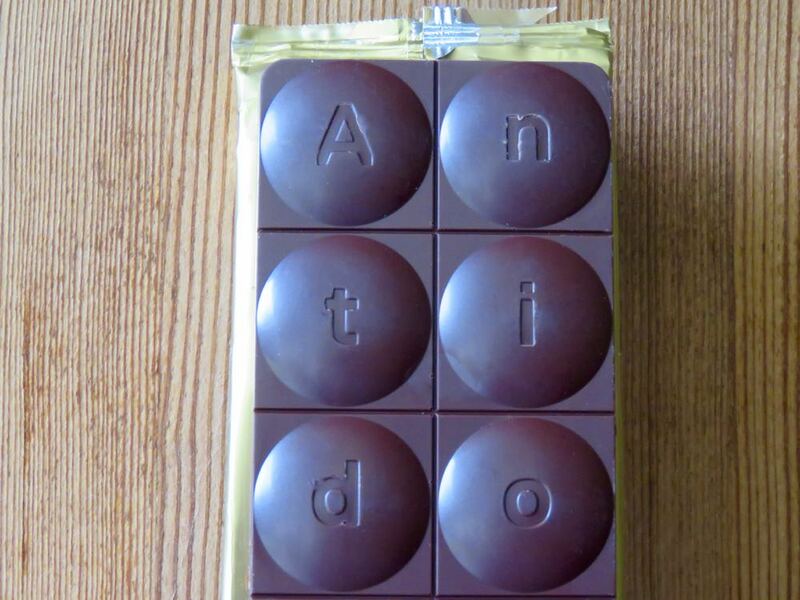 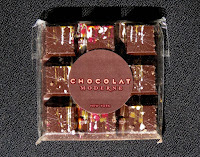 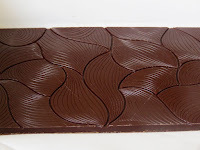 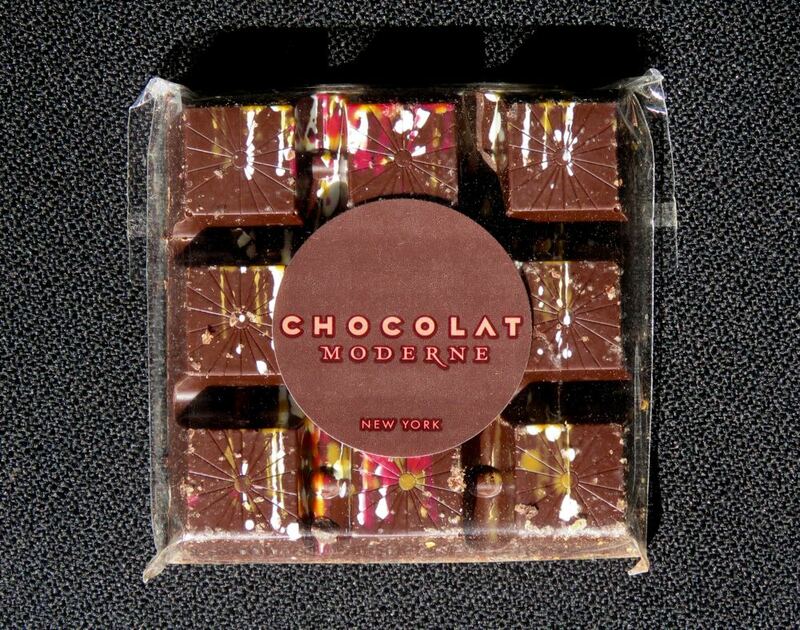 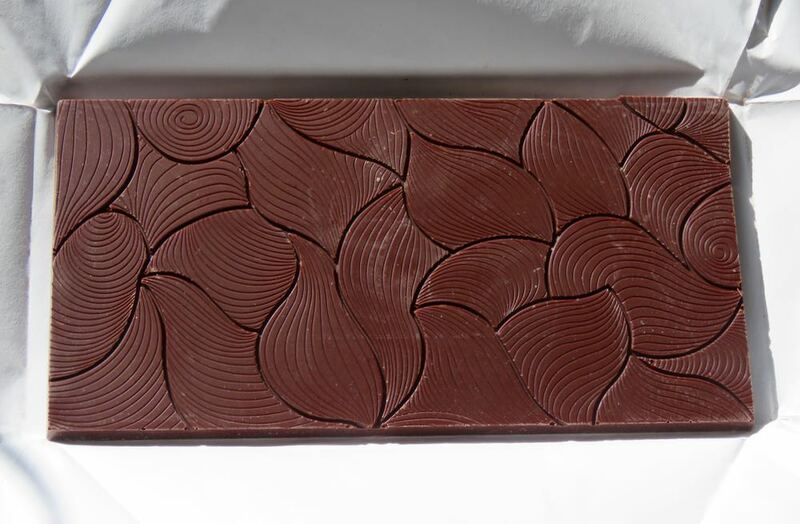 Today's Holiday Avant-Garde Bar - Milk Chocolate Caramel with Organic Pumpkin Puree and Pie Spices was created by Chocolat Moderne (New York, NY). 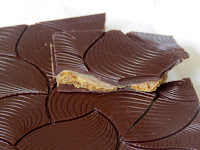 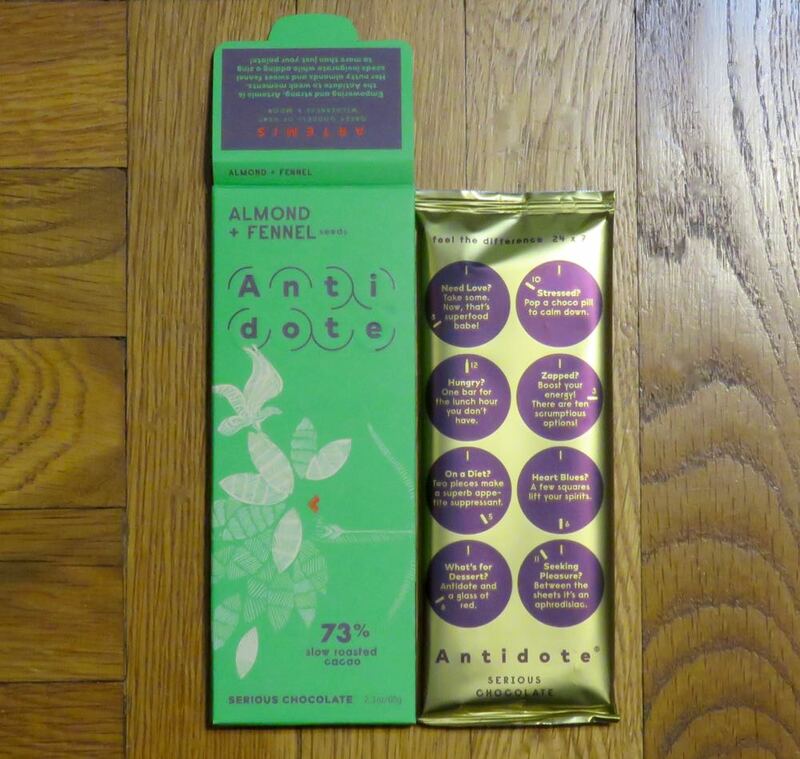 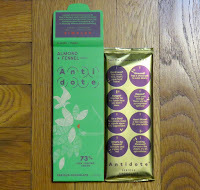 This Avant-Garde holiday-inspired filled bar had a light spice and nutty chocolate aroma. 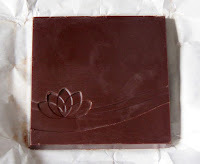 The dark chocolate was smooth and even in flavor. 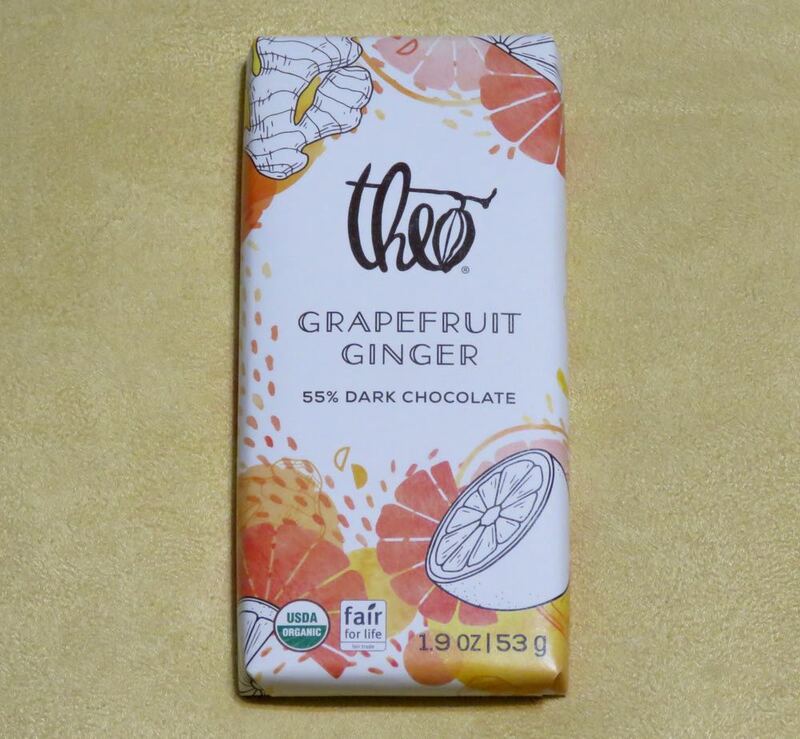 Hats off to the chocolatier for the caramel filling with authentic pumpkin flavor with light pie spice, and for the this bar not being too sweet (thank you). 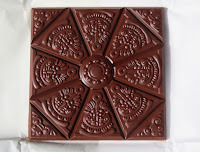 Welcome to Day #11 of Chocolate and Spice Theme Week. 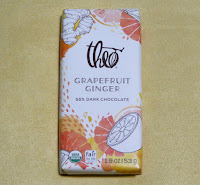 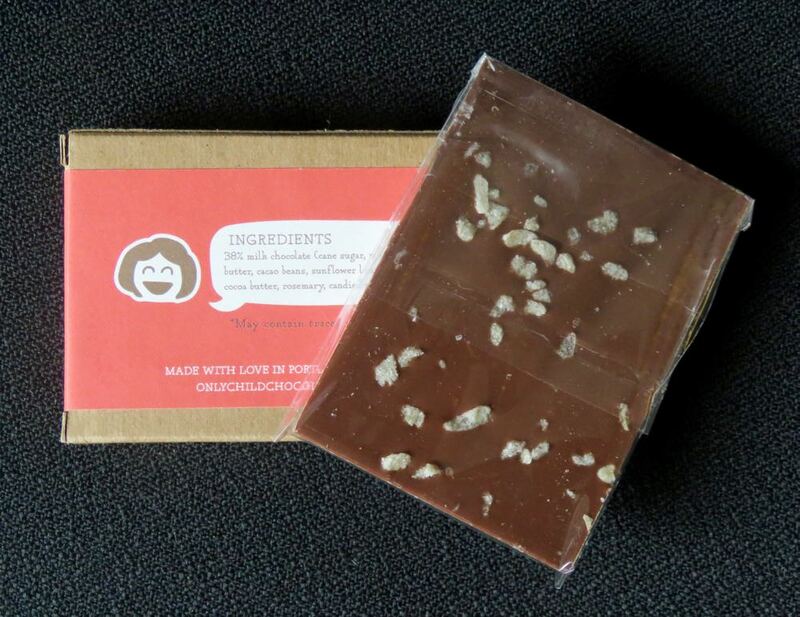 Today's Organic Grapefruit Ginger 55% Dark Chocolate bar was made by Theo Chocolate, Inc. (Seattle, WA). 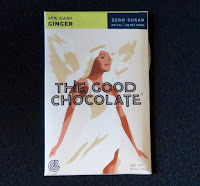 It had a candied citrus and spice (ginger) aroma. 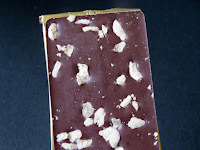 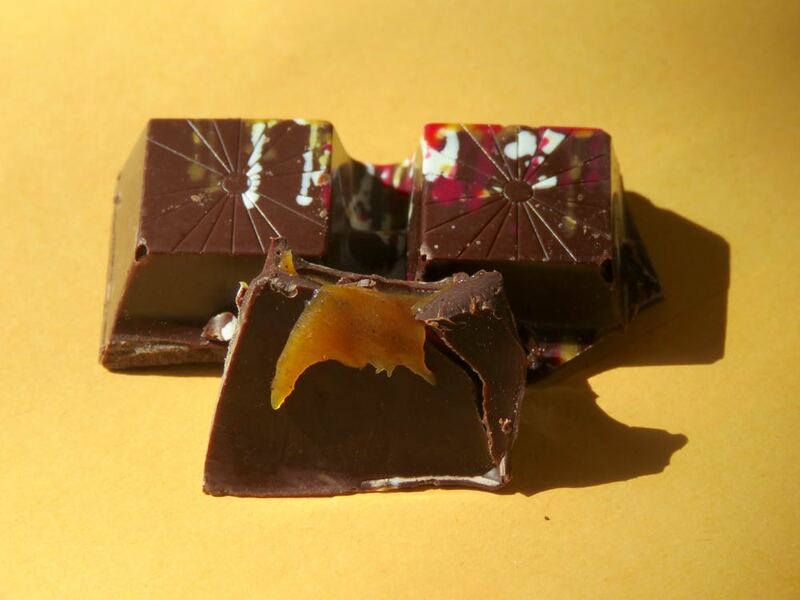 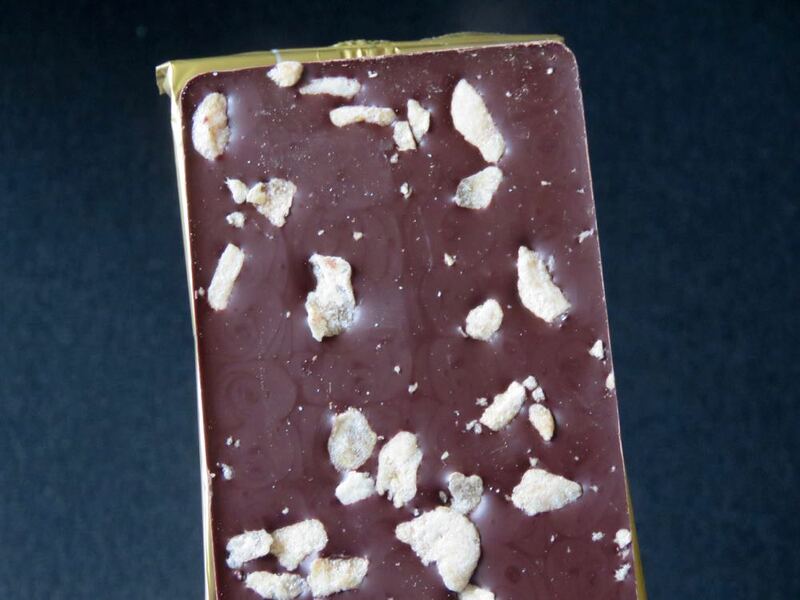 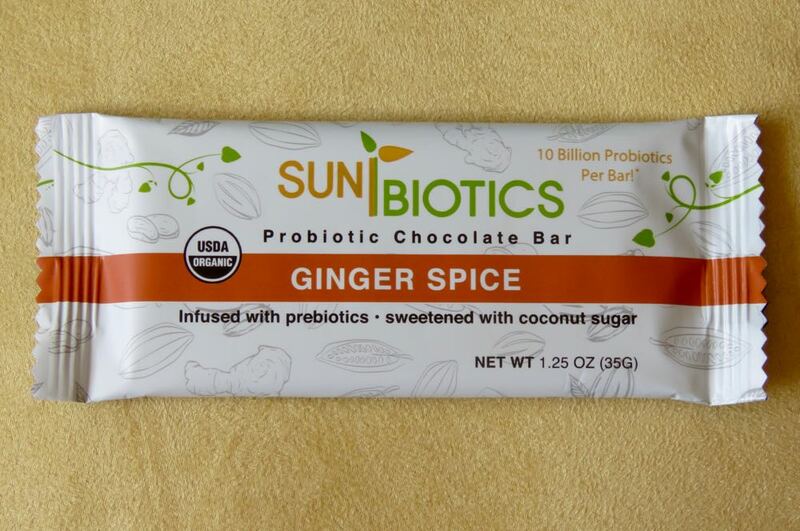 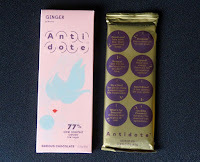 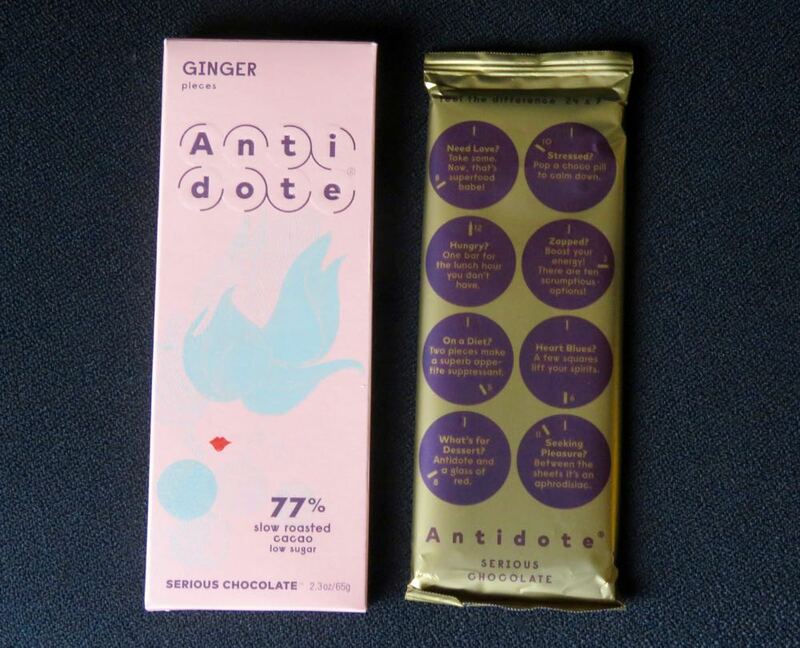 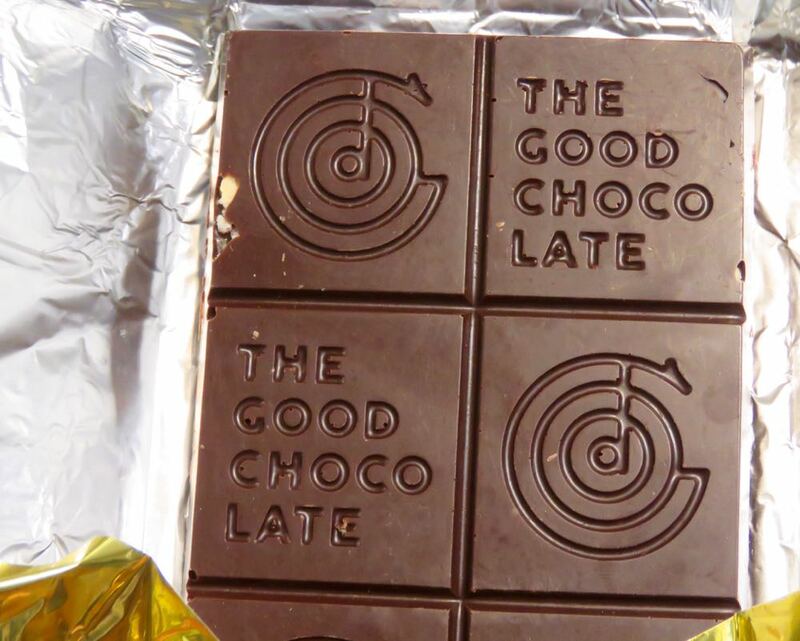 This sweet chocolate bar had a smooth melt punctuated with tiny specks of almost crunchy crystallized ginger. 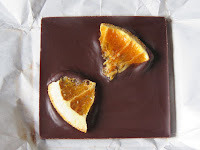 Grapefruit oil lent a subtle, balanced citrus touch. The ginger finish lingered slightly. 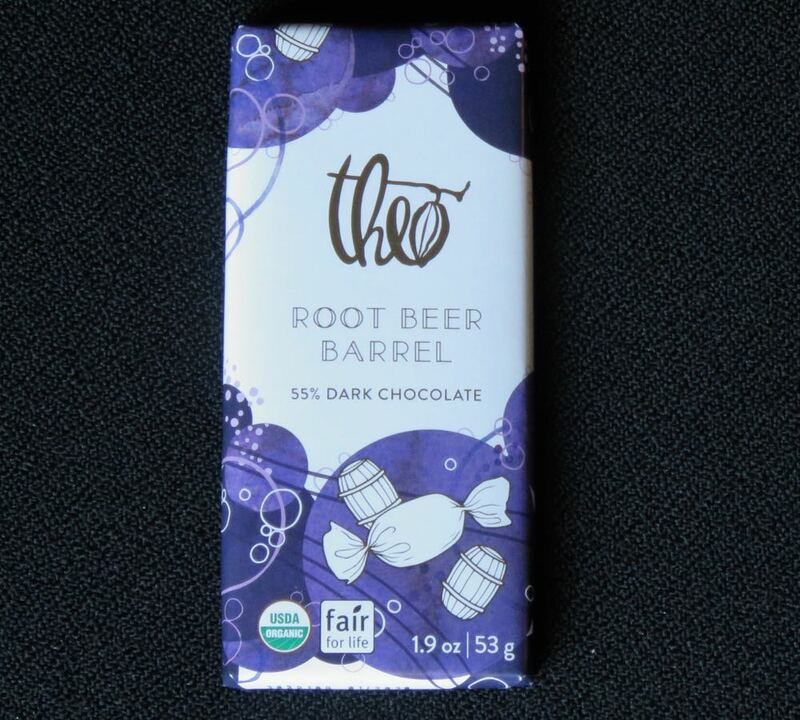 Today's bar was certified fair for life, Kosher Dairy, and did not list gluten- or soy-containing ingredients. 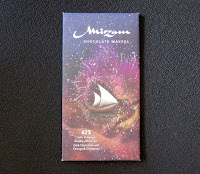 Welcome to Day #7 of Chocolate and Spices Theme Week. 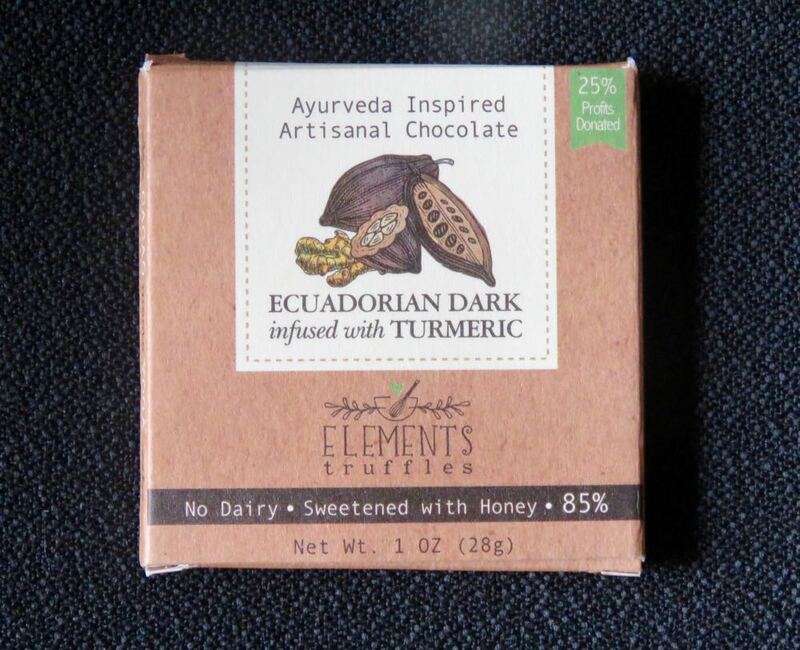 Today's Ecuadorian Dark infused with Turmeric (bar) was created by Elements Truffles (Kearny, NJ). 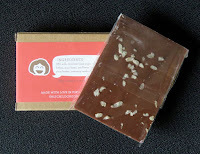 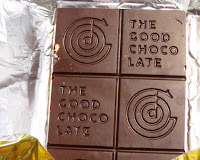 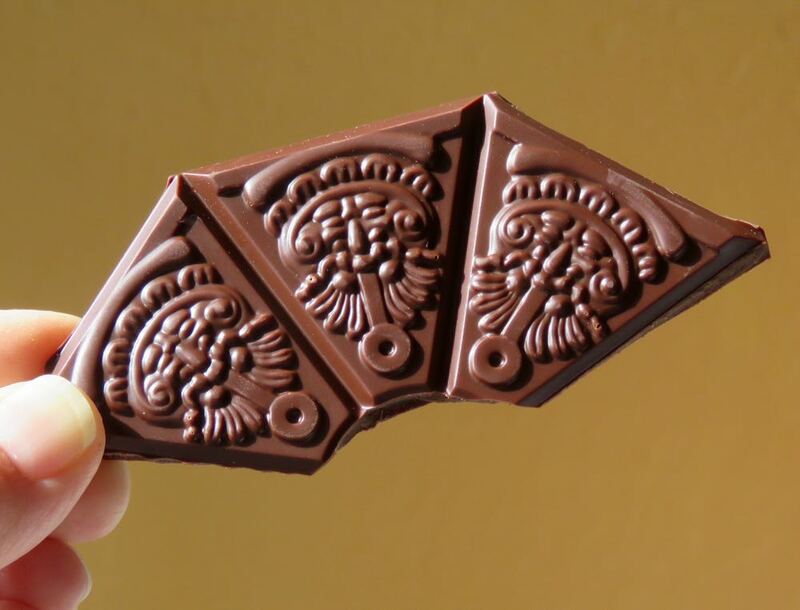 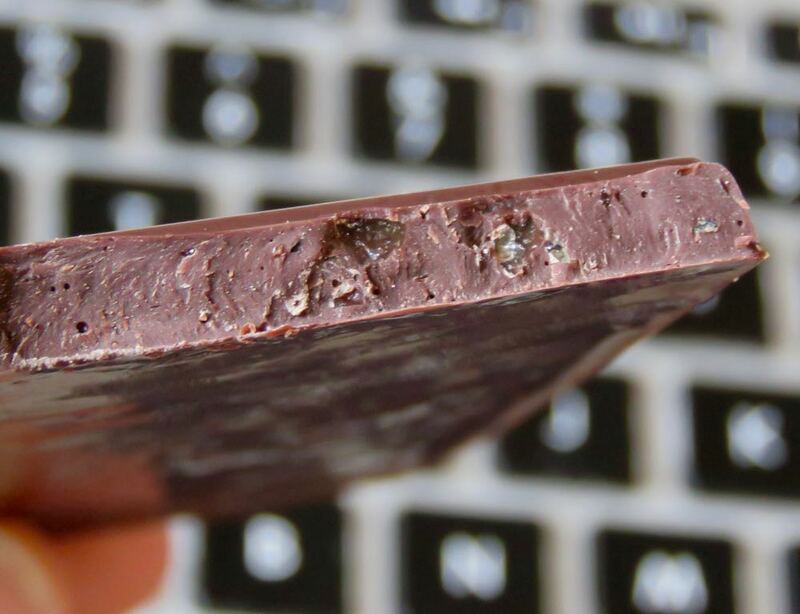 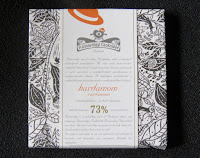 The dark square bar had a rich chocolate aroma with a faint hint of coconut, and a creamy, rapid melt. 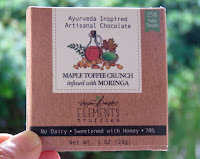 This 85% five-ingredient* offering was sweetened with a touch of honey rather than cane or beet sugar, so it was not too sweet (thank you). 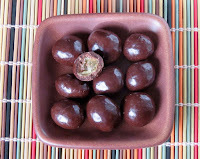 While the golden color of the turmeric** root powder inclusion was not visible, the ultra-dark (85% cacao) chocolate had a warm, slightly bitter flavor from this spice. 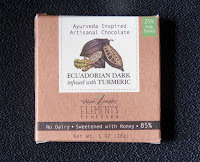 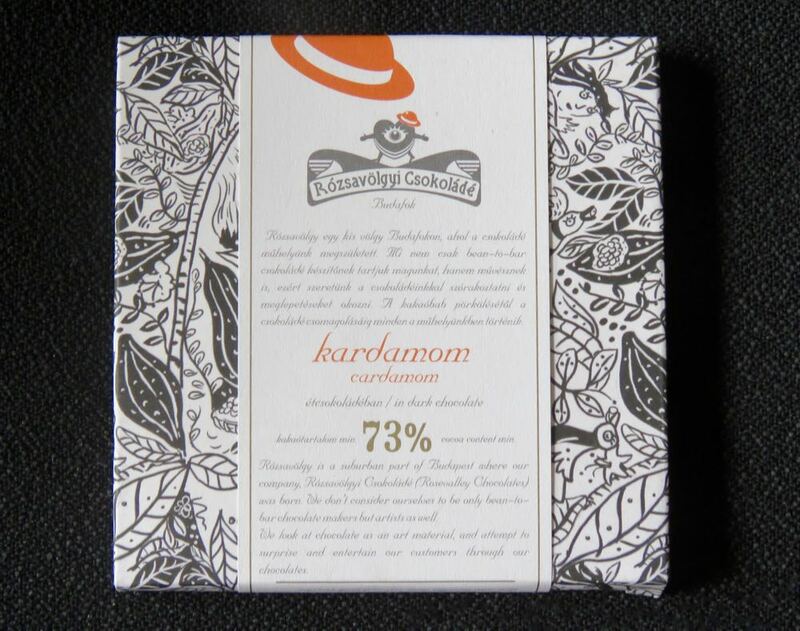 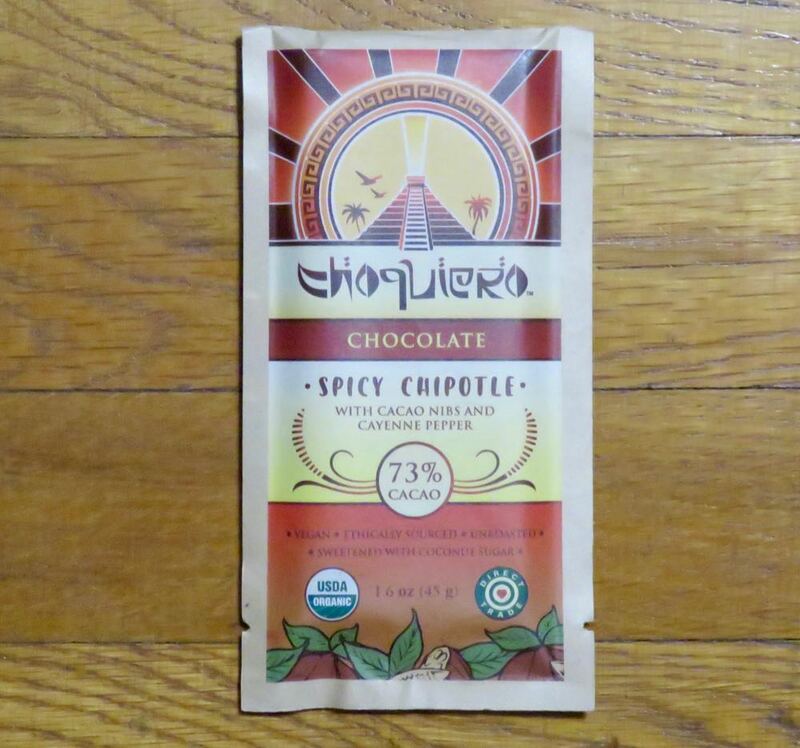 Fair trade organic cacao used to make this chocolate was from Ecuador. 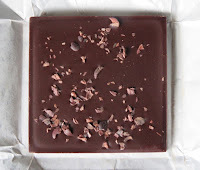 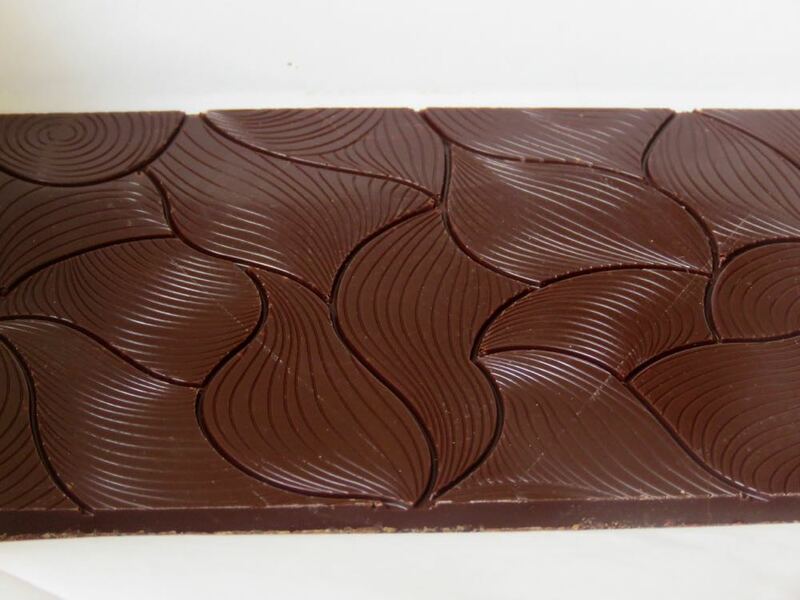 And cocoa nibs on the back side of the bar added a light soft crunchy texture and concentrated cacao flavor in the finish. 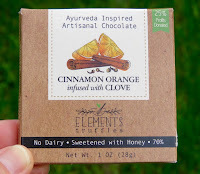 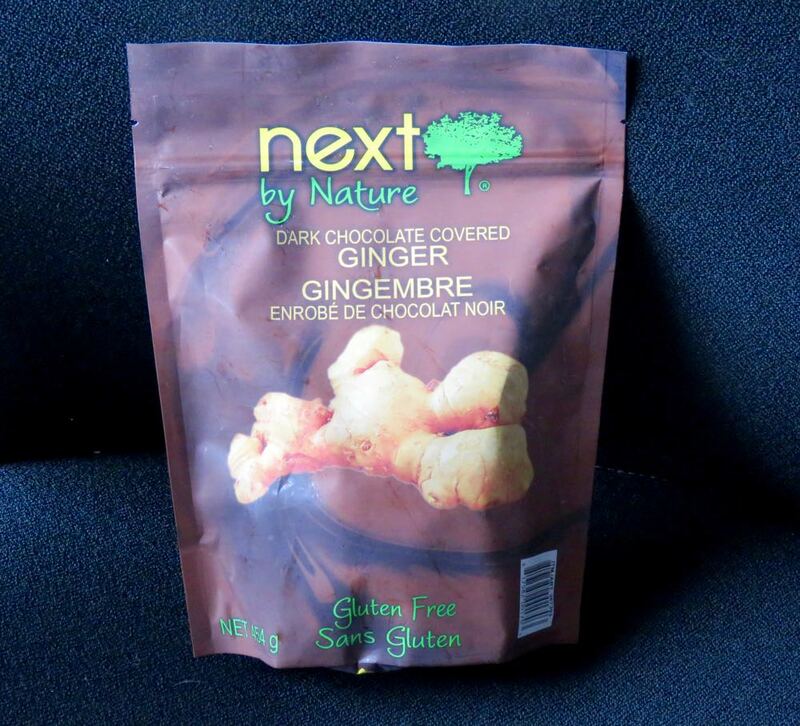 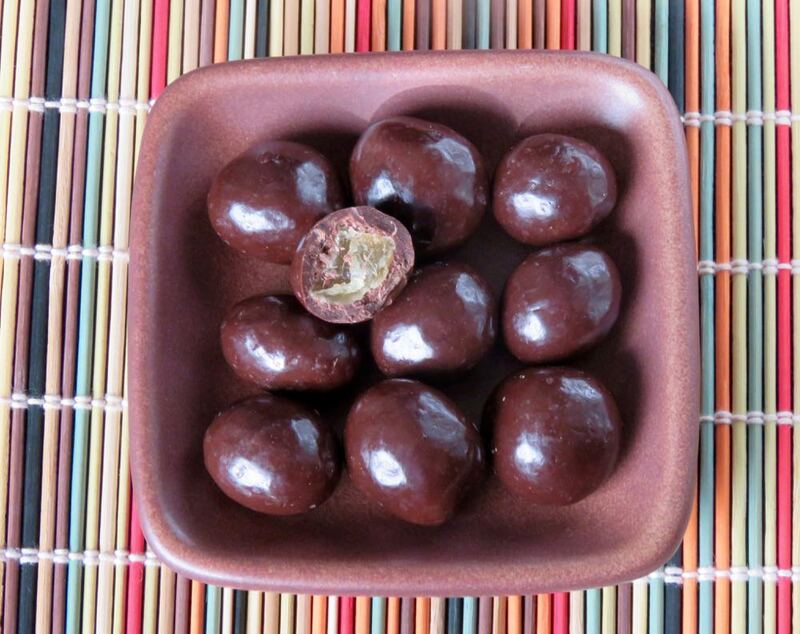 *Ingredients: Organic raw cacao butter, raw honey, organic raw cacao powder, organic turmeric root powder, sea salt. **Turmeric is a golden yellow spice and medicinal herb made from the orange-yellow tuberous root of the Turmeric (Curcuma longa) plant, and is commonly found in Indian/Asian cooking. 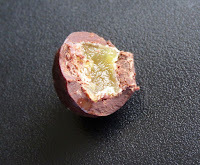 It gives curry and other dishes a bright yellow color.